Penny Warren, of Bristol K9 Massage, gives an introduction to canine massage, along with the benefits it can provide for your dog. ICAN (International Companion Animal Network) gives dog owners a new way to find trusted professionals to work with, through their list of force-free trainers and behaviourists. Today is National Walk Your Dog Day but instead of focusing on the benefits of walking your dog, I’d like to focus, perhaps controversially, on why I believe in rest days free from walks. Consider adding a rest day into your dog’s week and enjoy a calmer dog. Steve Lewis joins us with his top tips for seeing your garden from your dog’s point of view – creating a garden to be enjoyed by human and hound. To celebrate the start of The Year of the Dog, we’re offering a woof-tastic 50% off our Positive Puppy Programme now until Sunday 18th Feb! Here at Barket Place, we don’t think your dogs should be left out of the fun of Pancake Day. Take a look at our healthy pancake recipe for your dog. A recipe for homemade natural, healthy Salmon Treats that your dog will go wild for. 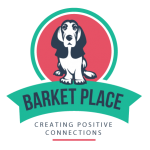 Introducing our online dog training course and community of Positive Puppy Parents. Ministry of Dog Ltd’s owner, Alison Williams, joins us here to give her top ten tips for choosing the right dog walker for your puppy or adult dog.